Our defense and commercial client partners consider NTS Dana Point the go-to support system for engineering services, design, testing, analysis and evaluation for all requirements. 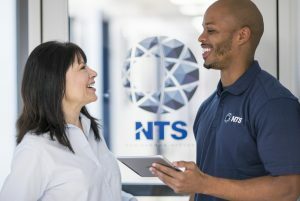 The team at NTS Dana Point has extensive experience in all aspects of computer aided engineering (CAE) analysis, product lifecycle requirements, failure analysis and the development of custom test apparatus. Engineering design and analysis of a new product. Complex engineering thermal and/or structural analysis. Recently, we expanded our engineering services to include the analysis and modeling of complex mechanical systems, such as automotive suspensions, gun mechanisms and a broad range of other forms of machinery. Using the software tool MSC Adams, our NTS Engineering Services at Dana Point can offer multi-body dynamics solutions to our customers’ 3D CAD models. 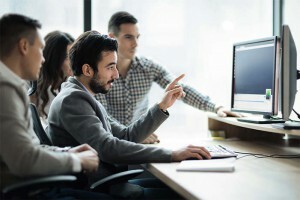 In this manner, we are able to bring products to life by determining mass properties, constraints, input forces and even part-to-part contact on interface models. We have your thermal needs covered, from simple conduction problems to full conjugate heat transfer incorporating conduction, convection and radiation. Plus, through our expert thermo gravimetric analysis — or TGA — we can determine a material’s degradation due to temperature fluctuations. This also reveals a material’s absorbed moisture content and residual solvent levels, as well as the amount of fillers in polymers and composite materials. Full conjugate heat transfer in complex assemblies. Purely radiative heat transfer for space applications, transient analysis, infrared thermography, parametric optimization and more. Many of our tools are highly integrated with various CAD platforms, which allows direct import of your geometry to ensure model accuracy and provide seamless integration of thermal analysis with your existing product development cycle. If you have a thermal management problem, our teams of highly-skilled thermal analysts have the knowledge, expertise, and resources to solve it. From supersonic compressible flow to creeping flow in a MEMS microfluidic device, NTS Dana Point has the tools and expertise to help you succeed. Our highly skilled fluid dynamicists are ready to assist with overall system design, optimization and analysis. Capabilities include internal and external flow, high speed compressible flow (up to mach 5), prediction of body forces such as drag and lift, fluid-structure interaction, pump/fan power requirements, and more. Our software tools incorporate finite volume and finite element based techniques, both Cartesian and unstructured meshing, turbulent and laminar flow. Depending on your CFD analysis requirements, all three modes of heat transfer (conduction, convection, and radiation) can be merged. Tools for these analyses are highly integrated with various CAD platforms for direct import of your geometry. This helps ensure model accuracy and provide seamless integration of CFD analysis with your existing product development cycle. Modifying electrical housings for shock testing. Airframe strengthening for new configurations. Modeling springs, dampers, motors, friction, gravity and custom dynamic loads to evaluate product performance. Use of design studies to optimize mechanism performance over a range of input variables. Sizing of motors, springs and dampers. Design and evaluation of cam and slot profiles for peak performance. Creation of accurate motion envelopes for use in interference and space-claim studies. Prediction of dynamic loading to facilitate design of stronger, lighter and more efficient mechanisms. FEA (finite element analysis) using ANSYS and NASTRAN to ensure stress levels do not exceed material allowables. Shock analysis to meet MIL-STD-901. Fracture mechanics to predict crack growth (as required by NASA). Material selection for strength, corrosion resistance, fatigue resistance and weight. Impact analysis using LSDYNA for bird strike, tire fragments and containment of high energy rotating parts. Thermal growth and thermal stress prediction. Failure analysis and recommendations for design optimization. Many common specifications (MIL-STD-810, RTCA DO-160, MIL-STD-164, and MIL-S-901) require vibration and other forms of dynamic analysis. NTS provides the following dynamic analysis services to ensure your product meets its requirements. Shock analysis to MIL-S-901 levels, or to a particular shock spectrum. Modal analysis to determine resonant frequencies to satisfy MIL-STD-164 and DO-160. Forced vibration and sine sweeps for DO-160. Vibration isolation: Given a PSD curve or other vibration input, NTS can develop a vibration isolation solution to meet your goals. Determination of noise source and vibration problems and implementation of solutions. Solutions to vibration-related fatigue problems. NTS has the expertise, systems, equipment and procedures to properly conduct Failure Modes Effects Analysis (FMEA) for your products. Our extensive base of FMEA knowledge enables us to quickly and accurately recognize and determine where failures are occurring, their likelihood or reoccurrence and the system-wide effect of the failures. At the conclusion of your project, you will receive a formal FMEA report documenting all relevant findings and recommendations. NTS can also assist with the implementation of recommended FMEA modifications/solutions for your products. To see the full spectrum of capabilities and services available at NTS Dana Point, click here to download the NTS Dana Point fact sheet for more details on specifications, tests, and capabilities. Or if you have specifications on your next project, Request a Quote now!